Arsenal have today announced a £150 million five-year kit deal with Puma that is the largest in British football history. The deal, which will increase Arsenal's annual revenue by fully £22 million, will begin from next season and represents another huge lift in the spending power that will be available to Arsene Wenger. Arsenal's current deal with Nike dates back to 2003 and is worth around £8 million a year. 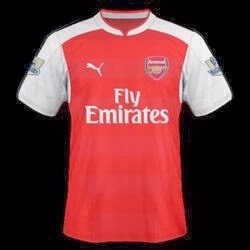 The Puma contract is worth a basic £30 million annually, although that could rise to £34 million with possible add-ons. It surpasses all existing kit deals in English football, with Manchester United currently receiving £25.4 million a year from Nike and Liverpool being paid £25 million by Warrior. United, though, are soon expected to announce a new £76.9 million per year deal with Nike. Barcelona and Real Madrid's current kit deals are respectively worth £27 million and £31 million.